While competition has become worldwide, manufacturing firms need to implement powerful productivity improvement methods. It is known that “overall equipment effectiveness” is the key metric to measure the performance of individual equipment. Different production subsystems (e.g. : serial, parallel, assembly line) and different aims (e.g. : decreasing the speed loses, increasing production rate, identifying bottleneck operation) of manufacturing plants, required different metrics for productivity which measure the effectiveness of whole system. So, in the literature, diversity of techniques are presented as “overall factory effectiveness”, “overall throughput effectiveness”, “overall asset effectiveness”, “overall equipment effectiveness of a manufacturing line” and so on. This study proposed a method to calculate overall effectiveness in serial subsystem which processes multiple orders in each batch. In the examined system, after a couple of continuous operation on different machines, there is a final quality control for each order of batch. Different processing time of utilizing machines cause different unit processing rates. Equipment down times is also considered in the examined study. Rekabet dünya genelinde gerçekleşirken, imalat firmaları, güçlü verimlilik geliştirme yöntemlerini uygulamak zorundalardır. "Toplam ekipman etkinliği" yönteminin, tek tek ekipmanların performansını ölçmek için kullanılan temel ölçüt olduğu bilinmektedir. Üretim tesislerinin farklı üretim alt sistemleri (örneğin: seri, paralel, montaj hattı) ve farklı amaçları (örneğin: hız kaybını azaltmak, üretim hızını artırmak, darboğaz operasyonunu tanımlamak), bütün sistemin etkililiğini ölçen farklı verimlilik metriklerine ihtiyacı ortaya çıkarmıştır. Dolayısıyla, literatürde, "toplam fabrika etkinliği", "toplam çıktı etkinliği", "aktiflerin toplam etkinliği", "üretim hattının toplam ekipman etkinliği" vb. gibi çeşitli teknikler önerilmiştir. Bu çalışmada ise, her partide çoklu siparişleri işleyen seri alt sistem dâhilinde toplam etkinliği hesaplamak için bir yöntem önerilmiştir. İncelenen sistemde, farklı makinelerdeki ardıl operasyonlardan sonra, her yığındaki sipariş için nihai kalite kontrolü yapılır. Makinelerin farklı işleme süreleri, farklı birim işleme hızlarına neden olur. İncelenen çalışmada duruş süreleri de dikkate alınmıştır. Ahire, C. P., & Relkar, A. S. (2012). Correlating failure mode effect analysis (FMEA) & overall equipment effectiveness (OEE). Procedia Engineering, 38, 34823486. Ahmed, M., & Ahmad, N. (2011). An application of Pareto analysis and cause-andeffect diagram (CED) for minimizing rejection of raw materials in lamp production process. Management Science and Engineering, 5(3), 87-95. Andersson, C., & Bellgran, M. (2011, January). Combining Overall equipment Efficiency (OEE) and productivity measures as drivers for production improvements. In Proceedings of the 4th Swedish Production Symposium (SPS11) (pp. 3-5). Binti Aminuddin, N. A., Garza-Reyes, J. A., Kumar, V., Antony, J., & Rocha-Lona, L. (2016). An analysis of managerial factors affecting the implementation and use of overall equipment effectiveness. International Journal of Production Research, 54(15), 4430-4447. Braglia, M., Frosolini, M., & Zammori, F. (2008). Overall equipment effectiveness of a manufacturing line (OEEML) An integrated approach to assess systems performance. Journal of Manufacturing Technology Management, 20(1), 829. Gibbons, P. M., & Burgess, S. C. (2010). Introducing OEE as a measure of lean Six Sigma capability. International Journal of Lean Six Sigma, 1(2), 134-156. Green, C., & Taylor, D. (2016). Consolidating a Distributed Compound Management Capability into a Single Installation: The Application of Overall Equipment Effectiveness to Determine Capacity Utilization. Journal of laboratory automation, 21(6), 811-816. Huang, S. H., Dismukes, J. P., Shi, J., Su, Q., Wang, G., Razzak, M. A., & Robinson, D. E. (2002). Manufacturing system modeling for productivity improvement. Journal of Manufacturing Systems, 21(4), 249-259. Jeong, K. Y., & Phillips, D. T. (2001). Operational efficiency and effectiveness measurement. International Journal of Operations & Production Management, 21(11), 1404-1416. Muchiri, P., & Pintelon, L. (2008). Performance measurement using overall equipment effectiveness (OEE): literature review and practical application discussion. International Journal of Production Research, 46(13), 35173535. Muthiah, K. M. N., & Huang, S. H. (2007). Overall throughput effectiveness (OTE) metric for factory-level performance monitoring and bottleneck detection. International Journal of Production Research, 45(20), 4753-4769. Nachiappan, R. M., & Anantharaman, N. (2006). Evaluation of overall line effectiveness (OLE) in a continuous product line manufacturing system. Journal of Manufacturing Technology Management, 17(7), 987-1008. Nahar, K., Islam, M. M., Rahman, M. M., & Hossain, M. M. (2012, December). Evaluation of OEE for implementing Total Productive Maintenance (TPM) in sewing machine of a knit factory. In Proc. the Global Engineering, Science and Technology Conference (pp. 28-29). Nakajima, S. (1988). Introduction to TPM: Total Productive Maintenance.(Translation). Productivity Press, Inc., 1988,, 129. Oechsner, R., Pfeffer, M., Pfitzner, L., Binder, H., Müller, E., & Vonderstrass, T. (2002). From overall equipment efficiency (OEE) to overall Fab effectiveness (OFE). Materials Science in Semiconductor Processing, 5(4), 333-339. TPM Chairman (2004) TPM activity pre audit report, Internal circulation copy, Sundaram Industries Limited, Madurai. Tsarouhas, P. H. (2013). Equipment performance evaluation in a production plant of traditional Italian cheese. International Journal of Production Research, 51(19), 5897-5907. Vijayakumar, S. R., & Gajendran, S. (2014). Improvement of overall equipment effectiveness (OEE) in injection moulding process industry. IOSR J Mech Civil Eng, 2(10), 47-60. Williamson, R. M. (2006). Using Overall Equipment Effectiveness: the Metric and the Measures, Strategic Work Systems. Inc., Columbus NC, 28722, 1-6. ISNAD YILMAZ EROĞLU, Duygu . "Çoklu Ürün İçeren Seri Alt Sistem İçin Toplam Etkinliğin Hesaplanması". 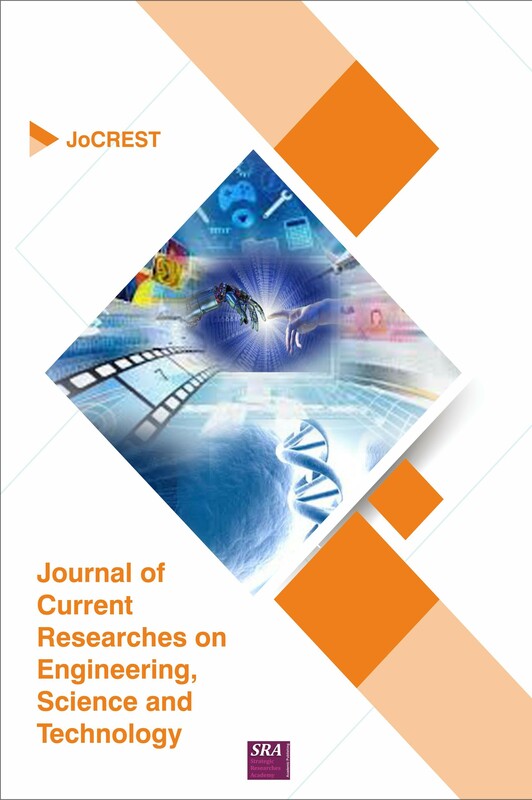 Journal of Current Researches on Engineering, Science and Technology 3 / 2 (December 2017): 19-32.